Equity benchmark indices opened higher for the fourth consecutive session. The stocks market opened on a flat note amid mixed global cues. On the sectoral front, FMCG, IT, pharma, and realty indices were trading in the green, while auto, media, metal, and banking were in the negative zone. The Sensex was up 30 points to 36,666, while the Nifty was marginally up 3 points to 11,056. The market breadth was neutral with 750 shares advancing, 804 shares declining, and 503 remaining unchanged. 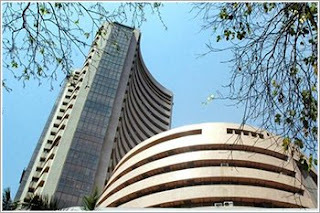 The BSE MidCap index was trading 23 points lower at 14,843, while BSE SmallCap index was ruling at 14,562, up 5 points. The rupee strengthened to 69.98 a dollar as compared to its Wednesday's close of 70.27. This is the first time in two months that the rupee has gained past the 70 mark against the US dollar. Shares of Biocon slipped 1% on the BSE in the morning trade. The pharma company said that the USFDA has issued six observations in Form 483 after pre-approval inspection of its insulin drug substance manufacturing facility in Bengaluru. Suzlon Energy stock slipped 2% after 0.26cr shares changing hands on NSE on Thursday.